A little confidence can go a long way. That’s because confidence is more than just being able to hold your head up high. When you believe in yourself, you also become more open to accepting opportunities such as job promotions or learning a new, challenging skill. On the other hand, a lack of confidence only hinders you from getting out of your comfort zone and sets you up for failure. Often, what holds us back from confidence is the fear of failure. Sadly, this only ends up paralyzing us from trying altogether and making us fail by default. Sometimes, all you really need is to shift your point of view. While making mistakes can indeed be tough and hurtful, you’ll sleep way better at night knowing you didn’t go down without a fight. And in case the worst case scenario unfolds, you can always charge it to experience and use it as fuel to be better next time. You already know that no one gets out of life unscathed, so you might as well ease on the self-blame before you even put yourself out there. Feeling good about yourself is a challenge when you’re constantly sleep-deprived, living off a diet of junk, and not exercising. These might be physical things, but they have just as big of an impact to your mental state. In fact, a 2016 experiment published in the Journal of Neuropsychiatric Disease and Treatment reveals that regular physical activity contributes positively to a person’s body image, which leads to an increase in confidence. Simply put, when you know that you’re treating your body with the care it deserves, it will begin to reflect in how you present yourself. So hit the gym, put on a face mask (we’ve got many ideas here on Chic Galleria), and eat your leafy greens! You deserve it. We all know the phrase “dress for the job you want, not the job you have,” but it could hold a little more weight than you think. It turns out that clothes aren’t just protective fabric for your body. The perfect outfit can make a world of difference to your self-esteem — a phenomenon known as “Enclothed Cognition.” This is why we end up associating people in suits as more powerful. While you don’t have to wake up in a ball gown to feel your best, you should feel free to express your personal style as you wish. And if you’re looking to ignite your female empowerment, even putting on pretty lingerie can help. Yes, regardless of whether anyone else will see you in it or not. As Pretty Me points out on its lingerie feature, the right underwear can help women embrace their bodies and explore their femininity. True enough, it’s easier to appreciate your natural curves when you’re standing in a flattering $200 lace bra than in faded and tattered undies. You’re only as good as the company you keep. And more often than not, your friends and family can definitely make or break your confidence. You owe it to yourself to be immersed in a supportive environment that is conducive for your growth. Because if you keep exposing yourself to constant negativity — whether in real life or on social media — then it will only pull you down. Don’t be afraid to cut ties, or take advantage of that “unfollow” button. If you’re looking for an instant boost, just the simple act of smiling can deliver a healthy dose of endorphins to your brain and make you feel better in seconds. This is because smiling stimulates the brain’s reward mechanisms, as shared by HealthTap CEO Ron Gutman in a TED Talk. In fact, it works even better than chocolate, which we all know is a well-regarded pleasure-inducer on its own. And it’s free! 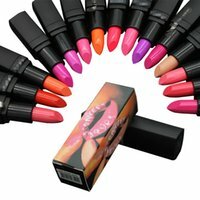 Advertising Disclosure: Chic Galleria may be compensated in exchange for featured placement of certain sponsored products and services, or your clicking on links posted on this website. Chic Galleria is the premier destination for Balancing a CHIC Life! We are a group of women living a simple yet CHIC lifestyle. We explore Beauty, Fashion, Health and Living topics through our own CHIC life experiences.